Moving out of your rental property or selling your house? Just the thought of moving is stressful enough, all the planning, mental & physical stress vacating a premises come with, can be overwhelming for the best of us. You need an End Of Lease Cleaning team! Does this sound like you?? Don’t worry we understand and can help you in this stressful time. Our move out cleans are carried out by dedicated mobile teams of cleaning profesionals who specialise in properties in need of a thorough clean, either at the end of a tenancy or before the start of one. 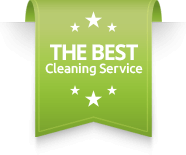 Our teams are equipped with all the necessary cleaning products, tools and equipment to undertake your move in /out clean in the fastest possible time frame with an eye for detail that is unrivaled by our competition. We have carried out hundreds of move out cleans on the Central Coast and know how to satisfy landlords and Real Estate agents. We have created an extensive checklist outlining all of the standards required by real estate agents. Book this service with us and you can be rest assured that every room of your property will be professionally cleaned. Don’t forget that our move out cleaning service is 100% guaranteed. What this simply means is, if for some reason you are not happy with your End Of Lease / Bond Cleaning service, get back to us within 48 hours of your job completion and we will come out and redo your job for FREE, because getting your Bond Back and your satisfaction is our number one priority! The prices we quote you are based on the information you have provided us. If we arrive at the premises and conditions differ from the information you have provided, the original quoted price may differ. The price we quote you for End Of Lease Cleaning do not include Walls cleaned, Blinds, Curtains or Venetian cleaning or white goods such as Air Con , fridges washing machine dryer etc .. We are happy to provide you with an additional quote for the above to be completed. Garages are only air blown clean as part of our End Of Lease Cleaning. If you require de-greasing extra charges will apply. A maximum of 1 window per bedroom, and 2 in the living areas are included in our End Of Lease Cleaning window. Additional windows will incur additional costs. Combine our End Of Lease Cleaning service with our Upholstery & Mattress Cleaning, Carpet & Rug Cleaning, Flea Treatment or Window Cleaning service and save on your total bill. No hassle at all. Was so easy. Thankyou so very much for your work. From my enquiry to the job being completed was hassle free. I got my bond back, no questions asked. After 12 years of living in my home, these guys did nothing short of a fantastic job. Thankyou for making it hassle free for us to get our bond back. Our agent was really happy with how our place was handed back to them. Absolutely amazing job all round, I organised Leigh and The Team at very short notice, to be honest it was even via email and to top that it was on Mothers Day! Leigh promptly responded, It then led to me explaining what I was after and he offered his End Of Lease Clean! I had an older little duplex in Bateau Bay to which I've been living in for four years, my land lords were and still are the most loving and amazing people I've ever met! I just wanted there little place to be perfect! Leigh and The Team did a fantastic job and I cannot thank them enough, everything was perfect and went smoothly! The only downfall is I never got to meet them and thank them in person! I would highly recommend Central Coast Domestic Services to anyone and everyone. From booking in to getting my bond back. It was hassle free. Thankyou for an amazing service. I appreciate everything you did. Fantastic service!Left a key for them to come in and do an end of lease clean, and they were wonderful.Such a relief knowing that everything was being cleaned and taken care of.Wouldn't hesitate recommending them to anyone. Had my oven cleaned. Fantastic job. Friendly service. Would highly recommend. I would definitely recommend Central Coast Domestic Services. They have a lot of pride in their work, and provide a very high quality service. Great value for money. I recommend it, to ensure you get your bond back. Showed up on time. Did a great job for our end of lease clean and we got our full bond back!